In recent years the demand for loop products has grown considerably given the durability and contemporary look it creates. Ulster Carpets have combined this demand with the current trend for the quiet, understated aesthetic found in Danish design to create their latest loop collection, HʌBITÜS. 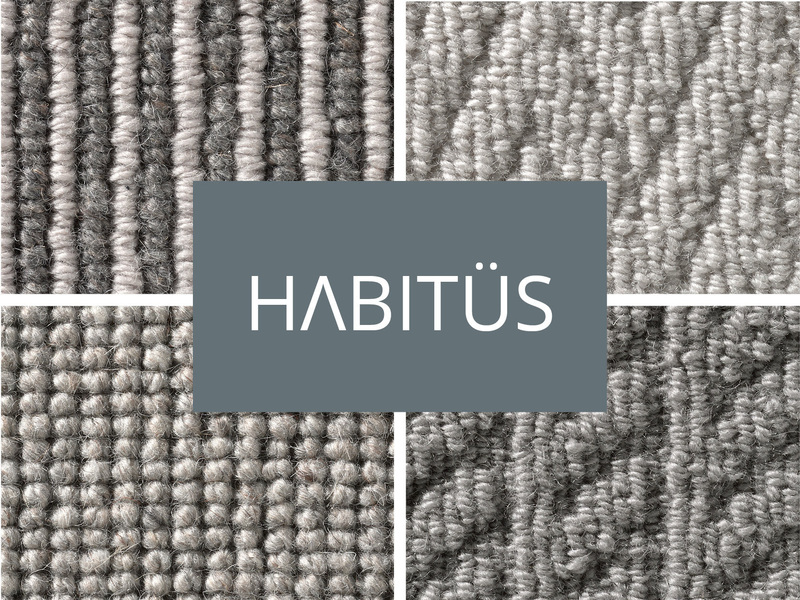 Drawing on the emotional connection we create with the surrounding elements, HʌBITÜS blends contemporary patterns and comforting textures with neutral colourways and contains four designs, Urban, Rustik, Croft and Strönd. 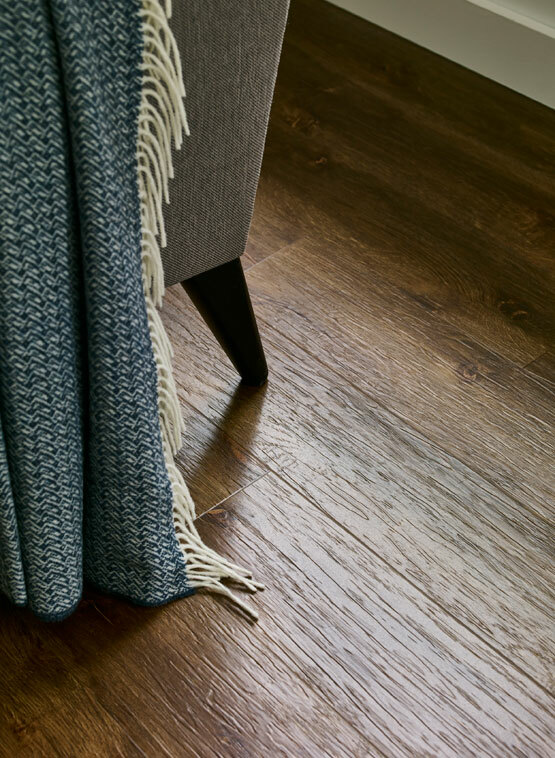 Croft features six berber shades ‘Soya’, ‘Rye’, ‘Surf’, ‘Reef’, ‘Wren’ and ‘Etching’ which have been manufactured using a combination of plain and heathered yarn, creating a natural textured finish and an organic ‘artisan’ feel. The range exudes warmth and cosiness, with soft, blended colouring. ‘Surf’ and ‘Reef’ have subtle blue undertones; ‘Etching’ combines grey and charcoals, whilst ‘Soya’, ‘Rye’ and ‘Wren’ are blends of neutrals which bring to mind the warmth of natural fleece. Keeping in line with current interior trends, Croft reflects the ‘Hygge’ movement of cosiness and comfort and conjures images of log fires, chunky knit throws and hand crafted textiles. Samples available to view at The Derbyshire Carpet & Flooring Company. 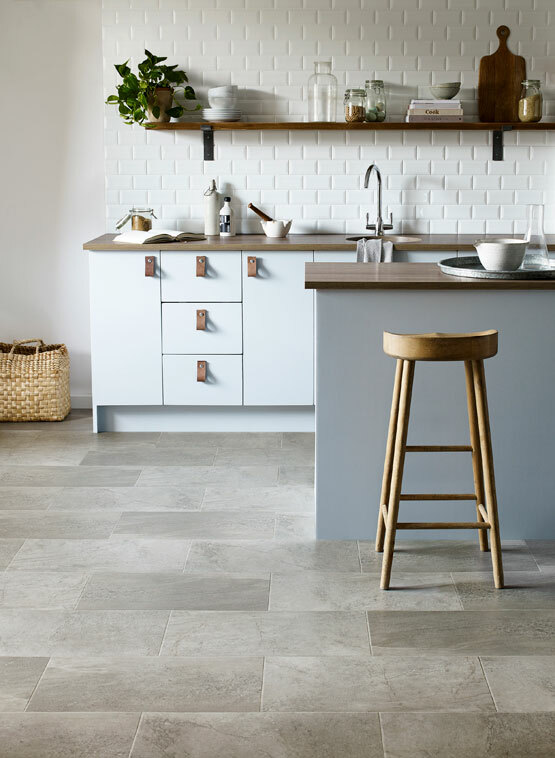 Amtico Form is a new collection of beautifully textured wood and stone luxury vinyl tile (LVT) designs that have the look and feel of natural materials. The name Amtico Form suggests how texture and definition are at the heart of the new LVT designs. 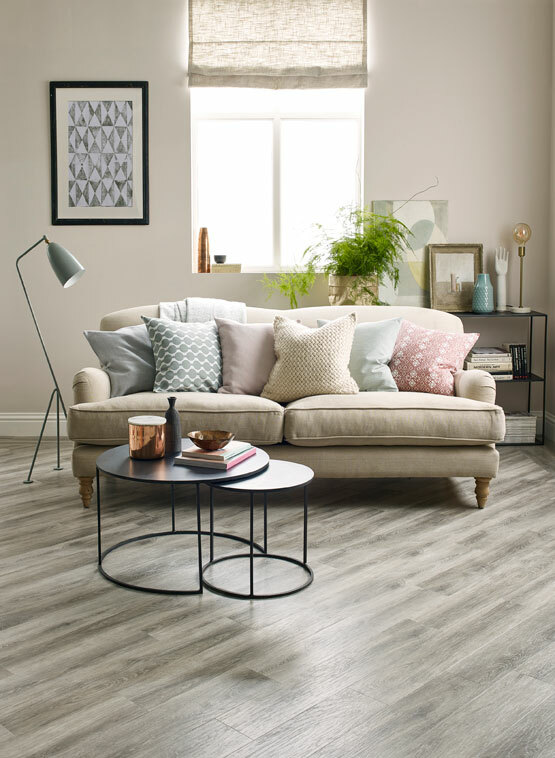 Carefully crafted by Amtico's skilled in-house design team the new collection is suitable for both modern and traditional spaces within the home, such as living rooms, dining rooms hallways and bathrooms. To achieve this natural and authentic finish for Amtico Form’s wood designs Amtico have developed hand-crafted techniques and embossing to give a raised effect to the grain. And for the stones, varying shade and subtle texture help to incorporate the kind of detailing you’d expect to see across a real ceramic or stone floor. 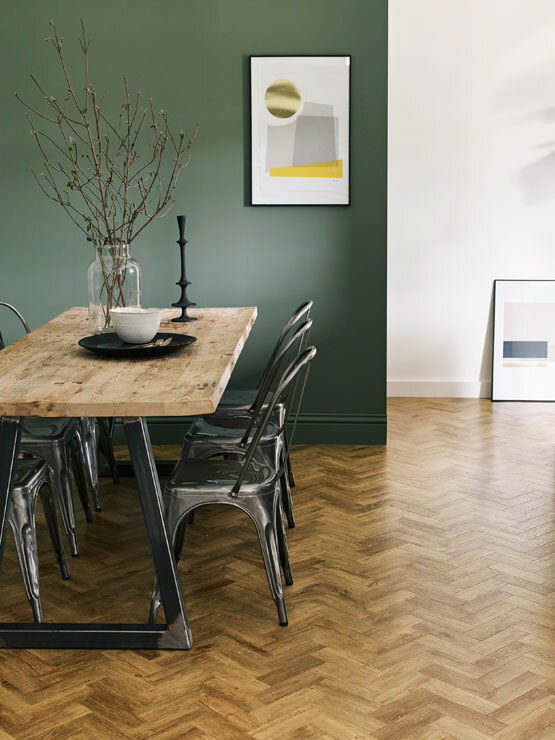 A classic flooring trend that has resurfaced, parquet floors are undoubtedly a top trend for this year. Despite the many styles of parquet, the traditional pattern is a favourite and is gaining popularity. Grey flooring has remained a very popular design choice and is a favourite amongst customers wanting a clean look and finish to their home. Blonde shades can make the smallest of rooms feel and appear more spacious instantly. This is also a great choice for Summer. Patterned tiles are a great way of adding personality and making any space bolder and brighter. We will be closed for Easter from Friday 14th April and throughout the weekend. Normal opening hours will resume on Tuesday 18th April. We hope you have a good Easter!